We've been thinking about this post for a few weeks, and it seems that every day there is a new record released from another amazing female artist. So, before this list becomes unmanageably long, we're posting it this afternoon. Below you'll find some of the women that are making it happen in the first half of '09 -- a few are making their debuts, while others have been around for an amazing record or two. Noticeably absent from our list will be Neko Case, Nite Jewel, Lissy Trullie and Fever Ray but only because everyone knows about the new Neko already, and we've been giving mad love to Nite Jewel, Lissy, and Fever Ray over the past few weeks. That is, until the web sheriff pimp smacked us the other day (re-posting Fever Ray soon). See after the jump for Stark's list of women to watch in the first half of 2009. 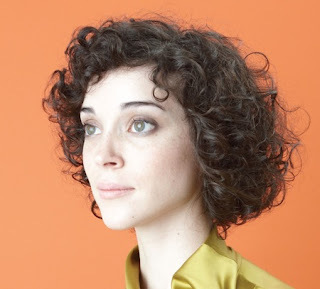 To use a typical writing cliche -- St. Vincent exploded onto the scene in 2007 with her debut Marry Me. She became the indie darling the world was looking for; physically striking and capable of delivering charming yet, forward-looking- orchestral-indie-rock and roll. Marry Me had the heights and pitfalls of a typical debut. Forgettable tracks clouded sections of the record, yet the highs were unbelievably high, showing the promise of a rising star. 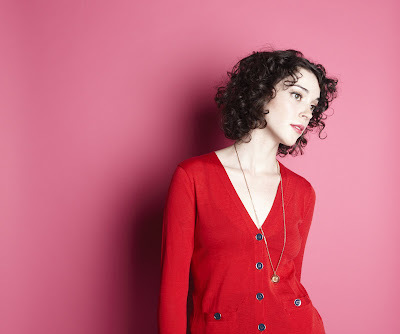 St. Vincent (Annie Clark) will debut songs from Actor at this year's SXSW festival. Clark has invested in the help of co-producer John Congleton (Modest Mouse, Smog, Polyphonic Spree, etc) as well as a french horn, violin, sarongi, bass, and percussion. Here's hoping these 11 new songs will reflect the grandeur and potential of Marry Me. What's initially arresting about Laura Barrett's great new record is the effortless mix of layered orchestration and inspired folk-pop songwriting. It's a record symbolized by Barrett's signature instrument, the Kalimba. 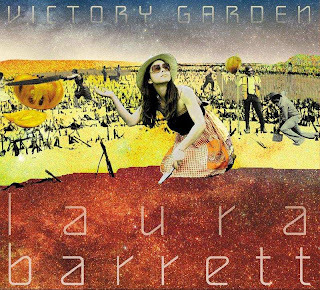 Tight and percussive, yet delicate and quite lovely, Victory Garden has the potential to pass a listener by on the first few listens; yet, with devoted ears, it's ultimately a very rewarding experience. Mute is one of those labels where you make sure to open their emails. We had never heard of Polly Scattergood before, but one listen to "Nitrogen Pink" was enough to realize that there was yet another stellar (and badass) female artist breaking onto the '09 scene. A self-described "songwriter who sings," Scattergood's sometimes girlish vocals are buried beneath layers of guitars and electronics. Her delivery and strong melodic sense are such that they drive songs and make them, frankly, catchy as hell. Already hailed as a smash in the UK, Scattergood releases her single "I Hate the Way" and B-side "Poem Song" next week. Laura Gibson is not necessarily an '09 new-comer. She released her lovely, If You Come to Greet Me in 2006 and Six White Horses EP in 2008. 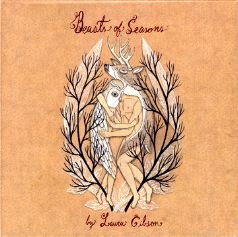 Beasts of Seasons finds Gibson coming into her own. On the back of stellar production from the amazing Tucker Martine, Gibson has gathered an array of stellar musicians from the M. Ward, Bright Eyes and Menomena camps. Also featuring Laura Veirs, the record has potential to weigh in more on the AAA side of the game, but does well to keep the arrangements more edgy and atmospheric than your usual middle-of-the-road, folk singer-songwriter record. Definitely another fantastic record from a talented songwriter. The Laura Gibson is a real step forward for her. She is making the best music of her career and people are finally taking notice. Thanks for covering her.